Kim and Phil have known each other since 06 June 2005 when they first met starting work for the same London IT department. Their love of gaming brought them together as friends and after finding 1001 Video Games, the logical next step was the creation of a blog and ‘1001-Up’ was formed on 06 February 2013. They met Ben, another WordPress.com blogger, on 02 November 2013 and invited him to come on-board once realising they all got along like a house on fire. 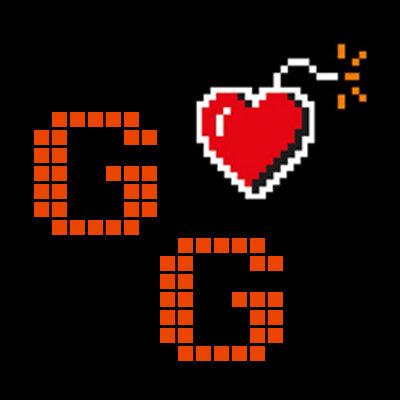 We’re dedicated to creating our own list of the best video games, building relationships with and promoting titles by independent developers, and continuing our support of SpecialEffect and Get-Well Gamers UK. Please see our section on the 1001Up philosophy for more details on the way we work, while information on and contacts for individual team members can be found here. Any member of the gaming community can become a contributor for 1001Up. If you’d like to join us, please check out our contributions policy for information and send an email to contributions@1001Up.com with details and a copy of your article. We believe that everyone is equal and regardless of which communities you consider yourself a part of, all views are worthwhile and we’re interested in hearing them. We therefore won’t discriminate with regard to contributions: everybody is welcome to contribute and all articles submitted will be reviewed on their own merits. We’ve met many talented writers and journalists and the opportunity to get to know some of them on a personal level has been amazing. In fact, we liked some of them so much that we decided to steal them for partners! Details on the terms of our partnerships can be found in our partnering policy; and we accept no money from our affiliation with Green Man Gaming, as advised in our full disclosure statement. GeekOut South-West is a geek community website which brings together elements of anime, comics and cosplay as well as entertainment, films, gaming, technology and more! Run by Tim and Joel, it brings unique daily content to the world of geeks and enthusiasts and provides opportunities for real-world meetups. With their motto ‘Geek proud, GeekOut’, this unlikely duo are bringing geek culture to a more widely-accepted and mainstream audience. Quotes from the Tabletop is a place to share the funniest moments from all of your tabletop role-playing games. Be it Dungeons & Dragons, World of Darkness or Dark Heresy – whatever you play, share your favourite quotes and stories with everyone here. Launched on 10 May 2010, Green Man Gaming started with a small catalogue of just five-hundred games and a mission to always offer more than just a sale. By 2014, their catalogue had grown to over five-thousand titles and is still growing. They’re now the global number-two digital retailer, leading millions of gamers around the world into a new era of downloadable gaming. Pete is a friend of the site and he’s the one we have to thank for how awesome the 1001Up looks today. Despite running a Vietcong server in his younger years and kicking all of us at Street Fighter, he’s insistent he won’t ever write; but you’ll sometimes find him making an appearance in streams and at expos, and wishing he had a PlayStation 4. We’d like to say a big thank you to everyone out there who has ever heard of, looked at, liked or followed 1001Up. You continue to amaze us: our following might not seem like a lot when compared to some of the major gaming websites but the numbers steadily grow. We’re humbled and greatly appreciate the support! To show our appreciation, we’ve created a page especially for you.